Kristin Hill’s aviation experience includes 35 years in the family Comanche. 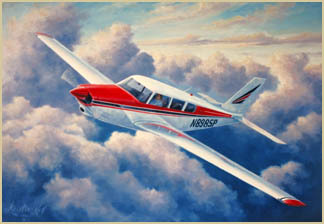 Her father Dudley Hill owned Hill Aviation and specialized in Piper Comanches. This custom commission painting for another Comanche owner captures special memories to be shared for many years. Read more here.